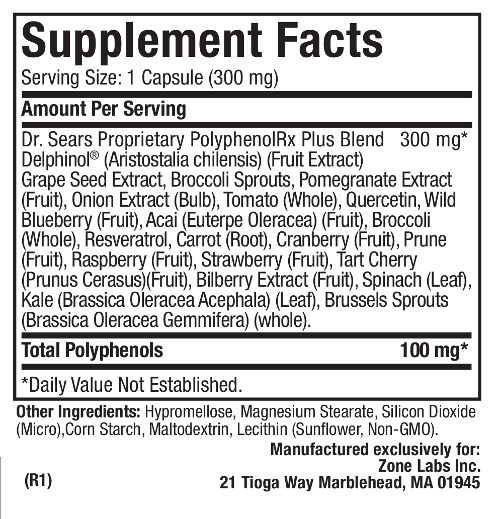 PolyphenolRx Plus is a polyphenol supplement that consists of 17 different fruits and vegetables (e.g. kale, spinach, Brussels sprouts, acai, raspberry, strawberry, pomegranate) plus purified Maqui extract. Each has been hand selected for their anti-inflammatory, anti-oxidant and anti-aging properties. Contains a proprietary blend of 17 fruits and vegetables plus purified Maqui berry extract. Each capsule is the anti-oxidant equivalent of 5 servings of fruits and vegetables. 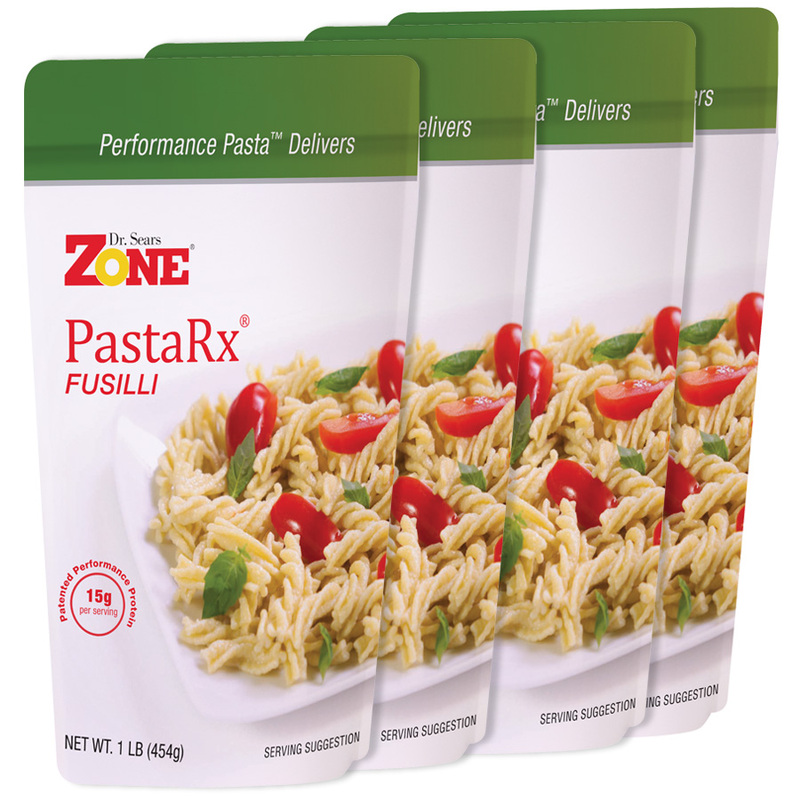 Ideal for those who have a hard time consuming the recommended 5-10 servings of fruits and vegetables per day. Supports metabolism and healthy blood sugar levels. Source of anti-oxidants to help minimize free radical formation and anti-aging. Easy to swallow vegetarian capsule. Suggested Use: Take one (1) capsule daily with a meal for optimal absorption. 30 servings per container. Polyphenols offer plants protection against the sun’s radiation and help defend against disease. They protect us in a similar way by acting as antioxidants to help combat inflammation and aid in improving immunity through their activation of key genes. The antioxidant capacity of polyphenols is 3x greater than those found in traditional antioxidants like vitamins A, C, and E.
Polyphenols give fruits and vegetables their bright colors. Until recently, little was known about polyphenols. We now know they are powerful activators of genes. In particular, polyphenols can activate the genes necessary for production of anti-oxidant, anti-inflammatory, and anti-aging enzymes. Polyphenols maintain a healthy gut by promoting an optimal microbial composition. Although polyphenols are not yet considered essential nutrients, you have to have adequate levels in the diet on a daily basis to continually activate the genes required for optimal health, especially for gut health. Polyphenol supplements can be concentrated to higher levels making it more likely for the body to get adequate levels on a daily basis to maintain optimal wellness. I certainly felt more energy and even lost weight. It helped control my appetite such as cravings. Going to buy more! I think the products are great, however my wife cannot take them as she has a corn allergy and your use of corn based excipients: corn starch and maltodextrin (usually derived from corn) in the PolyphenolRx products and maltodextrin in the MaquiRx product prevent her from taking them. Is it possible to eliminate corn based excipients from your products altogether? I have only used it for 3 days and I’m sure glad I did because Im seeing and feeling the difference. I take with fish oil. Incredible product. I feel a ton more energy especially when I take it with my fish oil. Best anti-oxidant available on the market. I take it every single day with my fish oil (5 grams) and although you “feel” the effects more with the fish oil, over time I do see the benefits of this product exponentiating the benefits of the fish oil and more. Great product, appears to decrease recovery time from a great WOD. Defintley recommend for those active folks. I trust this product will be effective kind of hard to see or feel the effects in my first weeks of use. Which Zone Polyphenols are right for you? Polyphenols are the chemicals that give vegetables and fruits their colors. They also represent the plant’s primary defense mechanism against invading bacteria and other parasites. Their intake is important in controlling the bacteria composition of our digestive system. What do Polyphenols do for you? It is becoming recognized that polyphenols are essential nutrients for humans. They are powerful anti-oxidants, have anti-inflammatory effects, and activate the key enzyme (AMP kinase) that controls our metabolism, increases chemical energy production, and slows down the aging process. Equally important, you need adequate levels of polyphenols to maintain the appropriate balance of bacteria in your gut that is key to maintaining long-term health. If that balance is disturbed by a lack of polyphenols in your diet, the result will be increased cellular inflammation throughout your body. How many Polyphenols do you need? From an anti-oxidant potential you need to ingest enough fruits and vegetables to provide a minimum of 3,000-5,000 Oxygen Radical Absorption Capacity (ORAC) units per day. Unfortunately, to reach the minimum 3,000-5,000 ORAC units requires approximately 10 servings of normally consumed fruits and vegetables per day. 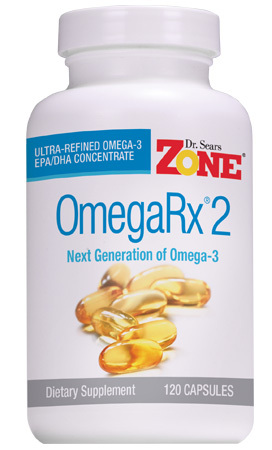 Dr. Sears recommends at least 10,000 ORAC units per day for optimal anti-oxidant and anti-inflammatory benefits. To reach the recommended levels of 10,000 ORAC units per day, it does require additional polyphenol supplementation for most people. The good news it that one capsule of any of our polyphenol products will provide an additional 8,000 ORAC units. Are all Polyphenols the same? No. There are about 4,000 known polyphenols. All have some anti-oxidative properties, but relatively few are anti-inflammatory, and even fewer have anti-aging benefits. Furthermore, you need highly purified polyphenol extracts like those used in Zone Polyphenols to get the full potential of their anti-inflammatory and anti-aging properties. 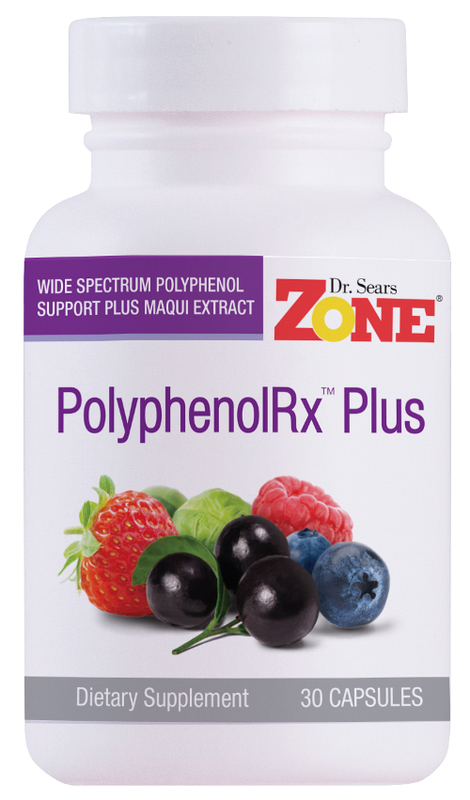 Why are Zone Polyphenols different than others on the market? To get the full potential of the anti-inflammatory and anti-aging properties of polyphenols, you have to use highly purified extracts. They are more expensive than typical concentrates because of the extra processing, but without such purification you are unlikely see any of their potential benefits. Why are Delphinidins "the Best of the Best"? Delphinidins are the only polyphenols that are common to red wine, dark chocolate, and blueberries. Delphinidins have a unique structure compared to all other polyphenols that allows them to provide unique anti-inflammatory and anti-aging benefits. The richest source of delphinidins is the maqui berry found only in the Patagonian region of Chile. One capsule of Maqui Rx contains the highly purified polyphenol extract of the maqui berry and has the same amount of delphinidins as found in 100 bottles of red wine, 20 bars of dark chocolate, or 5 pounds of blueberries.